As part of the ongoing discussion examining the Future of Photobooks we’re hosting on RESOLVE in collaboration with FlakPhoto, we’re sharing some of our favorite publications mentioned by the 45+ bloggers who have weighed in so far. These represent the seeds of publishing advances we expect and/or hope to see in the future. Check out our earlier posts as well, on small printers for self-publishing photobooks and game-changing people and ideas from the photobook world. Check out Pictory if you haven’t, a beautiful new crowd-sourced, curated online magazine from former JPG maven Laura Brunow Miner. The Sadkids photozine from Geoffrey Ellis, which he says has exposed his work to far more people than any gallery. Lists of photobooks (and books about photography) purchased this year by Craig Ferguson, Stacy Oborn, and Dan Abbe. Since FlakPhoto’s Andy Adams and I put out our call for posts on the Future of Photobooks a few weeks ago, more than 40 bloggers have shared their insights. You can find them all, plus lots of additional comments and two new posts, about DIY book printers and the Future of Photobooks Twitter chat, on our resource page. Having received such a positive response, Andy and I are developing a more organized and collaborative discussion style for the next stage of this project (look for details just after the holidays). Plus, we want to give everyone extra time to check out the great stuff our collaborating bloggers have shared. So for the next two weeks, we’ll be sharing our favorite links from all the Future of Photobooks posts. Not surprisingly, we’ve collected long lists of interesting small publishers and publications. But we thought we’d start with some innovative ideas that didn’t fit easily into categories. Check below for interesting projects, publishing revolutionaries, and books that are way outside the box. Who Says Traditional Books Are Boring? 4. Check out this great video of Kathleen Walkup, head of the book art program at Mills College, showing revolutionary designs from famous bookmaking artists. 5. One of the books Kathleen shares was made by Claire Van Vliet, a fine artist, illustrator, and typographer who founded Janus Press, which produces original, handmade book artworks. 12. And finally, a link post within a link post? We know…how meta. But coming from Alec Soth and detailing book sellers, publishers, and great DIY books, we just couldn’t help it. Please add your thoughts and cool links in the comments. 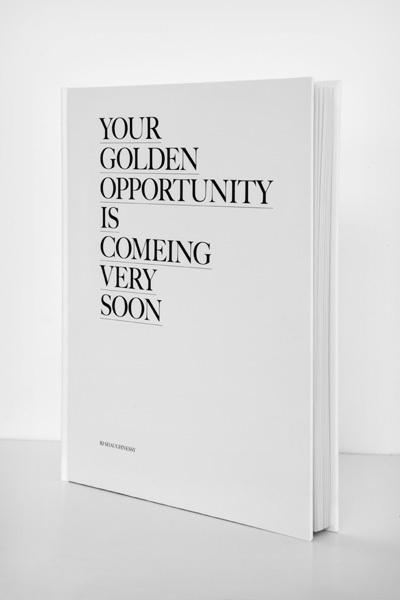 And check back soon for more Future of Photobooks posts! Join today’s Twitter chat on the Future of Photobooks! In conjunction with our ongoing Future of Photobooks project with FlakPhoto, photographer-writers Harlan Erskine and Todd Walker are hosting a Tweetchat about the Future of Photobooks this evening (Tuesday, Dec. 15) from 9 to 10 pm Eastern (6 to 7 pm Pacific). This will also kick off their weekly Tuesday Photo Art Chats, which you can find by doing a Twitter search for #photoartchat. To be part of the discussion, make sure your tweets include #photoartchat and a @reply if you’re responding to a specific person. For an even simpler way to take part, you can go to TweetChat, enter this hashtag, and interact as you would in an IM chat screen. You can also see the chat in the column below, which will update in real time with any tweets that include #photoartchat. *UPDATE: Here are a few highlights from last night’s TweetChat about The Future of Photobooks on #photoartchat. How often are photobooks purchased from print-on-demand storefronts like Blurb? Are they mostly photographers printing their own portfolios? People agreed they are more likely to buy books when they can touch them. If they’re buying them online, they need to be more of a “known quantity,” either a photographer or publisher they know, like, and trust to put out a quality product. consumptive: i’ve sold about 30 books through the blurb bookstore. not bad, considering i’m not a name brand. purchasers are pleased. Questions of people’s favorite photobooks lately, as well as the “most influential” photobooks of the last decade, came up several times. tom_leininger: Most recent purchase Travelog by Charles Harbutt from the 1970s, great pictures and essay. Newest is Wessel 5 Books (Steidl). 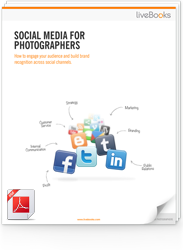 joostdeleij: My last purchase was PhotoArt ‘the new world of photography’. Very nice! and affordable. tom_leininger: Winteriesse by Luc Delahaye, Most of Thomas Roma‘s books. The Silence by Gilles Peress. tom_leininger: My kids liked going through Dog Dogs by Erwitt, it was small and inexpensive so I did not mind the man handling of it. OcularOctopus: @harlanerskine Sleeping By The Mississippi might be the most influential book of the decade. tom_leininger: How about Jason Eskenazi’s Wonderland? I have not seen it in person. I would say Wintereise is up there too for the decade. 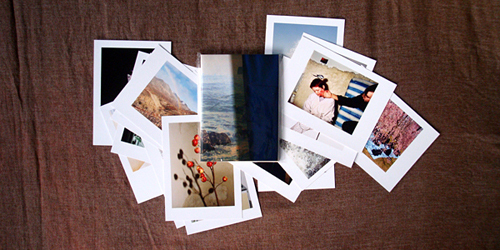 A discussion of the ideal size for photobooks to be printed also surfaced. tom_leininger: @consumptive I like the size. I am becoming more of a fan of smaller sized books. tom_leininger: Smaller sized would be 8.5×11 and smaller. It is an intimate portable. Larger books is like an event. harlanerskine: @tom_leininger it seems like some books are made with the wrong size. some times too big sometimes too small. And finally, can video be a book? What are the best printers if you want to self-publish a photo book? In the course of that conversation, J. Wesley Brown at We Can Shoot Too came up with the great idea of putting together a list of all the best printers if you’re looking to self-publish a high-quality photobook.